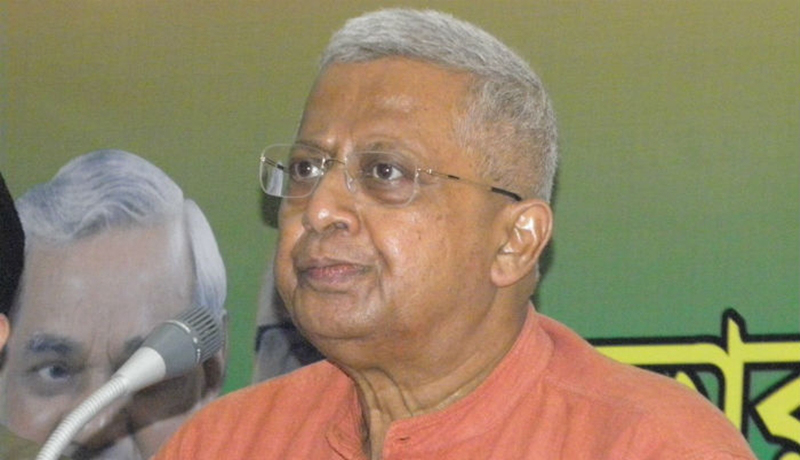 Tripura Governor Tathagata Roy on Friday fired another salvo saying India’s first Prime Minister Jawaharlal Nehru’s push for an ‘alien philosophy’ of secularism didn’t succeed in the country and failed to secure amity between religions. “He had tried to bring in an alien philosophy of secularism which didn’t work, isn’t working… which we have seen over the years has not given rise to amity between religions, Roy said. “It has given rise to, in fact, two partitions, and eventually it has not succeeded,” Roy said at the ‘World Confluence of Humanity, Power, and Spirituality’ in Agartala. He was reacting to Congress veteran Mani Shankar Aiyar’s assertion that it is important to rediscover Nehruvian India. Roy said Nehru ‘didn’t realize’ India’s plurality. “In other words, what he was trying to do is finding a way of driving a square peg in a round hole. He didn’t succeed. He didn’t realise the essential plurality of India,” Roy added. The Tripura Governor, who has been in the news for making controversial statements in recent time, attributed the co-existence of multiple faiths to Sanatan Dharma. “What has made this co-existence possible… it can only be called Sanatan Dharma which allows a catholicity of faiths to exist under its umbrella where you can accept God as a human being, as a male, as a female, as a child or as a non being. “It is this umbrella nature of Sanatan Dharma which has made it possible for so many different faiths and thoughts to exist in this country like nowhere else… This Sanatan Dharma… which Nehru had missed,” he said.